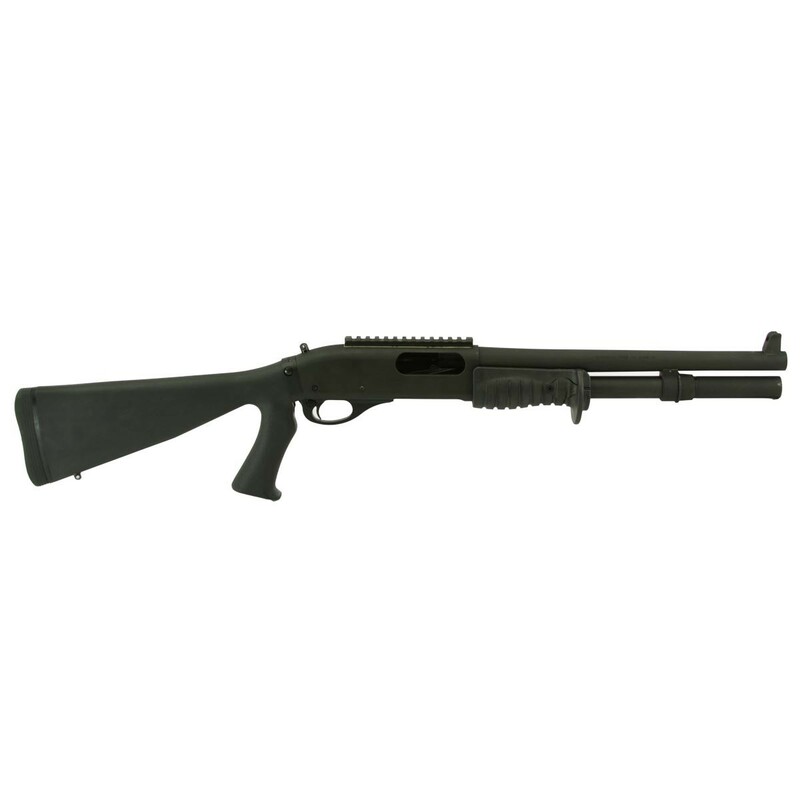 Multiple specialized tactical shotguns in one, the Model 870 MCS is the ultimate choice for virtually any close-range scenario. Modifications are made rapidly without tools thanks to the REM LOC Quick-Change Stock System, truly a revolutionary design for professionals who need to adapt on the fly. 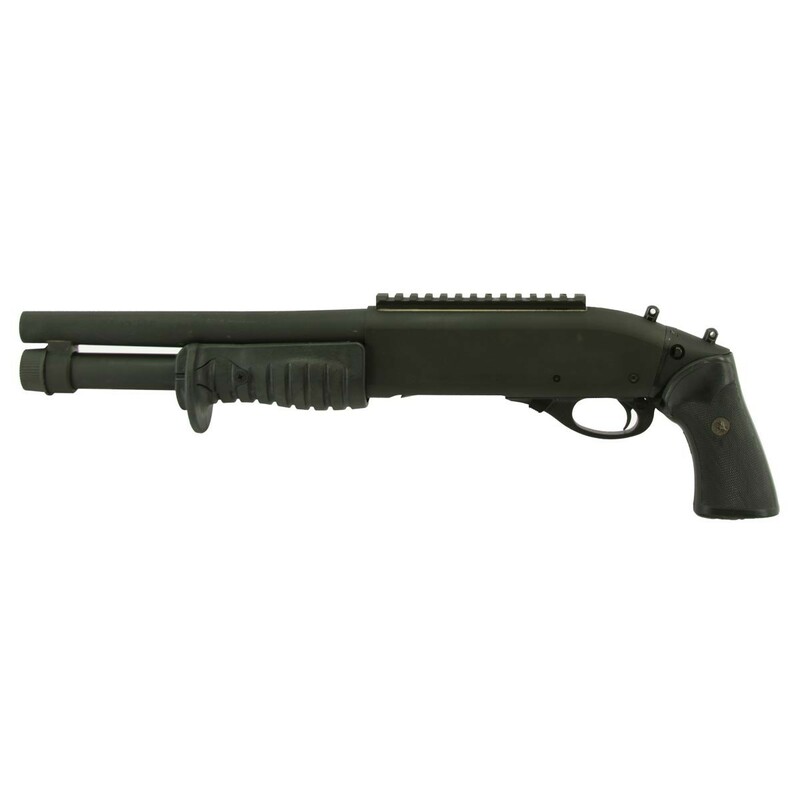 This is a civilian legal short barreled shotgun (SBS) and is considered a NFA / Class 3 weapon. 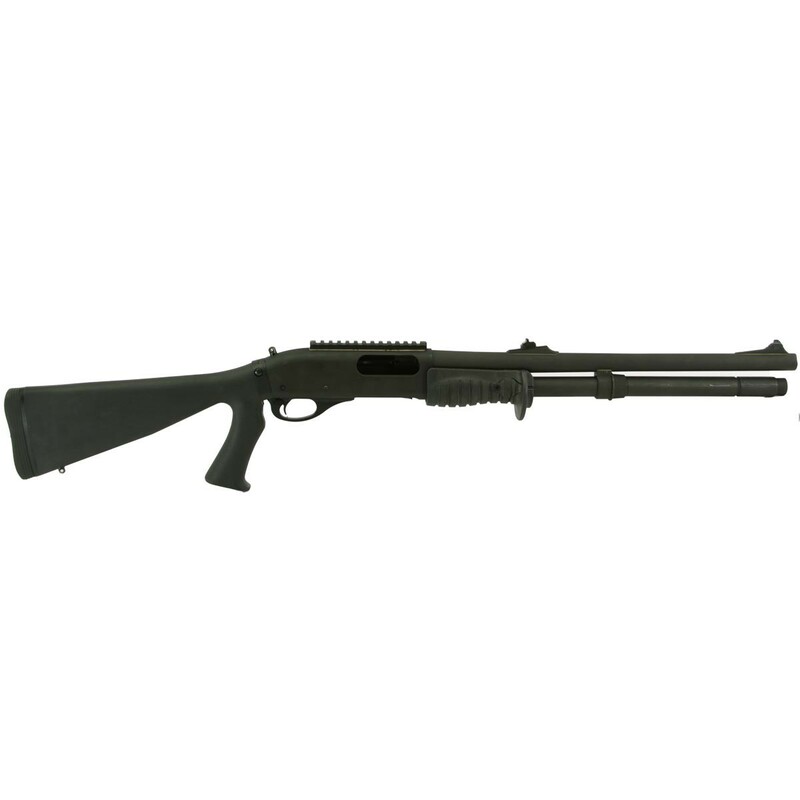 Comes with three barrels (10, 14, & 18"). 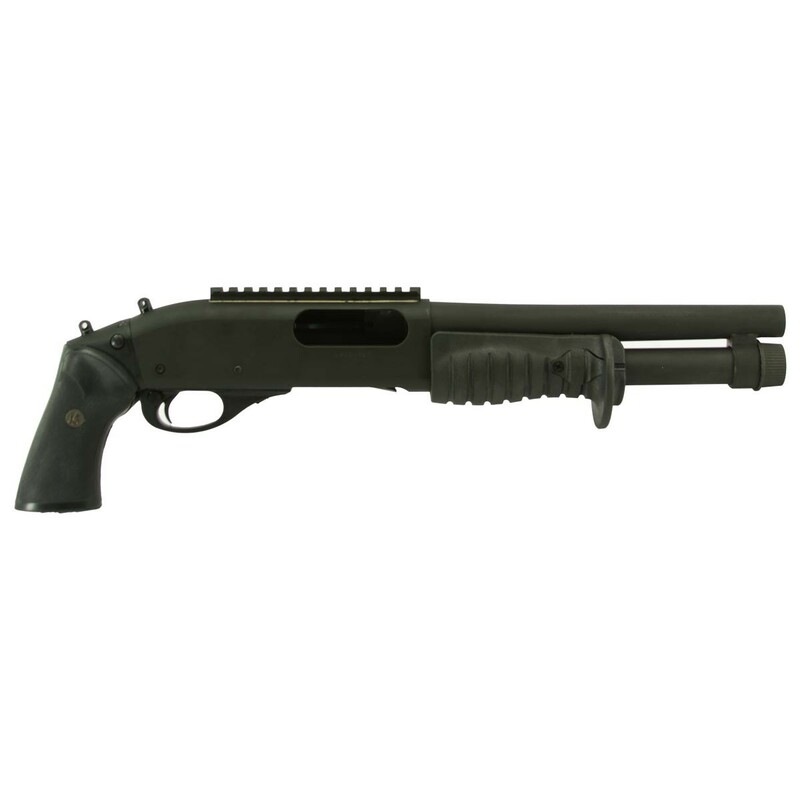 4,6,&7 shell capacity with two tube extensions. 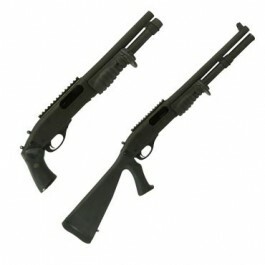 Two stock options (pistol grip and fixed stock w/ pistol grip). Soft tactical carrying case in black. Accessory rail for optics. Comes with cleaning rod which also acts as a magazine spring guide when assembling.